Warranty:3 months refund.3-year free to change the new;Lifetime Technology Support.Satisfy the customer unconditionally. 1080P HD VIDEO:The video resolution 1920 x 1080P,you can see exactly what's going on through video.Included 2000 mA rechargeable battery. 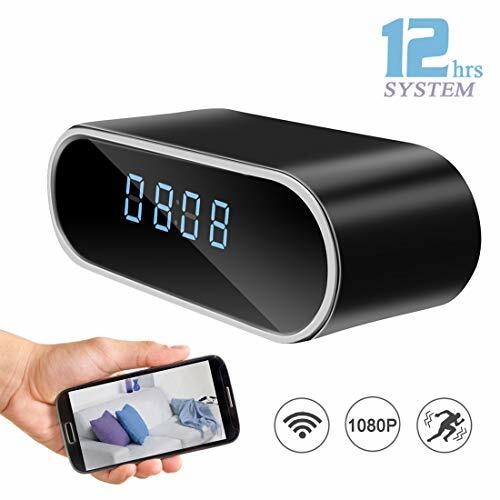 NIGHT VISION:Hidden Camera Alarm Clock offer night vision,it can see and Record in Darkness,IR night vision goes better when the unit is being charged.And these special IR lights are totally invisible to the human eye. If you have any questions about this product by DareTang, contact us by completing and submitting the form below. If you are looking for a specif part number, please include it with your message.